Over at Splitcoast today, the CAS challenge, which is a sketch and the Hope You Can Cling To Challenge – make a card for a caregiver. This is a standard A2 card. The background image was stamped off and then stamped in Stampin’ Up Blushing Bride. 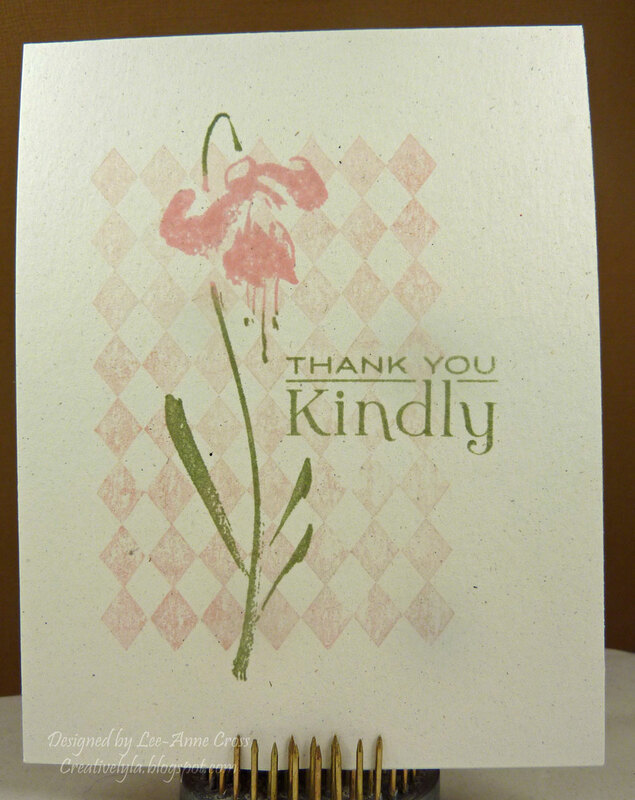 The floral image was inked in two colors and then stamped over top of the background stamp. And finally, the sentiment was stamped in the same green as is on the flower. Have a marvelous Monday everyone!